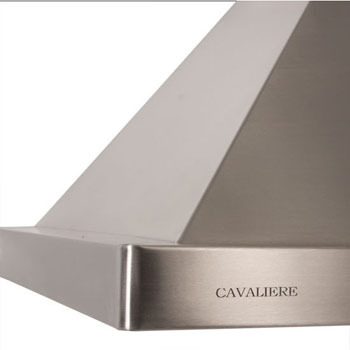 This Cavaliere-Euro SV218B2 Stainless Steel Island Mount Range Hood has 900 CFM airflow and a 218W low noise dual chamber motor. 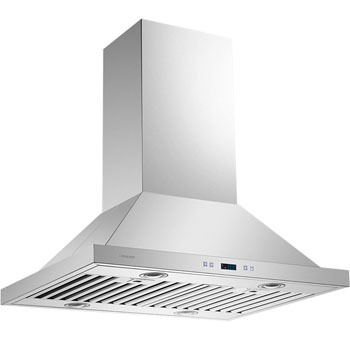 Featuring 6 speeds with timer, the range hood has a noise level of 25db to 56 db. 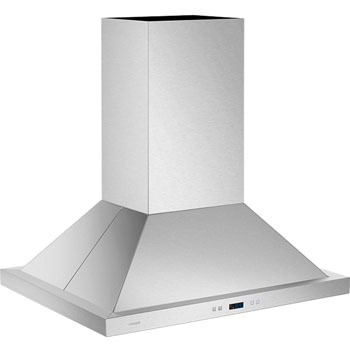 Very attractive island range hood. 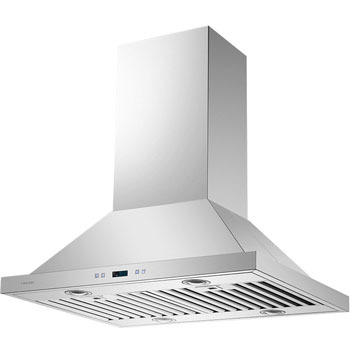 Easy to install with provided components and instructions. Powerful yet quiet. Lighting is very functional. 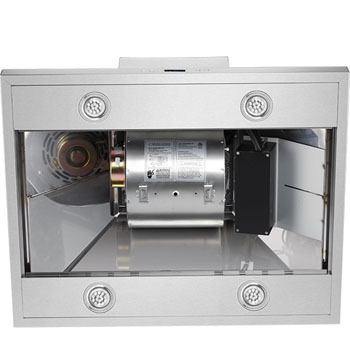 Both fan and light controls accessible from either side of unit. high quality. Very quiet. Like it. This item comes in 2 boxes. Box 1 is 50 lbs. 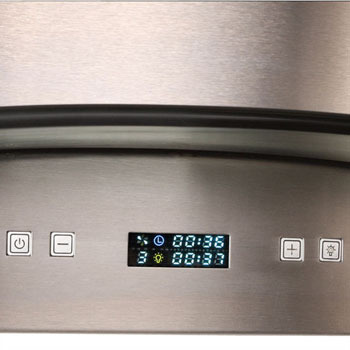 and measures 29" x 35" x 19". Box 2 is 33 lbs. 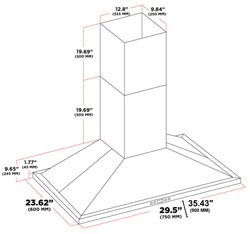 and measures 15" x 18" x 23". This item is too tall for a 7' 6" ceiling. 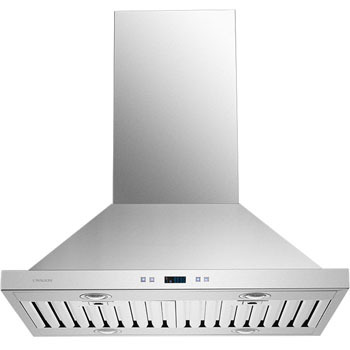 Considering the ceiling height of 90" - 36" for the cooktop - 30" for the distance between the hood and the cook top, that only leaves 24" left for the hood. 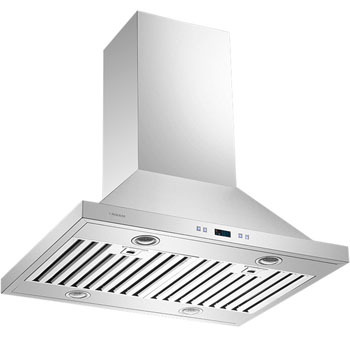 If you mount the hood closer to the stove, at 24" above the cooktop it still would be too tall and getting too close to the cook top.